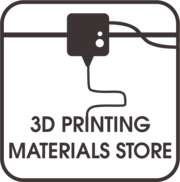 The 3D Printing Materials Store was launched by Mēkā in June 2014. It is envisioned as a one-stop shop for all things 3d printing - 3d printers, filaments, resins, upgrades and consumables. Starting with Singapore in 2014 then Asia and now shipping worldwide, we are thrilled to share our love of 3d printing with everyone.